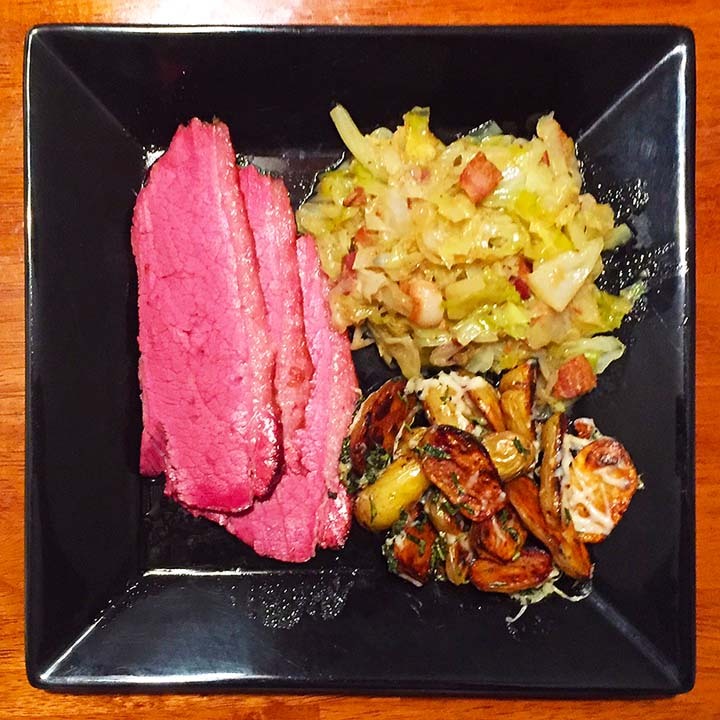 Corned Beef, Braised Cabbage with Slab Bacon, Crispy Rosemary & Sage Fingerling Potatoes | Jouer avec le feu. Since my wife had to go out of town, we did our usual New Year’s Day meal on New Year’s Eve. You can find the recipes here. And since it was New Year’s Eve, I decided to bust out my 1 litre 2013 Otto from the Wood from Hair of the Dog. This entry was posted in Beef, Pork by Radiodiffusion. Bookmark the permalink.